Danny Trejo returns as legendary ex-Federale Machete Cortez in this action-packed thrill ride from innovative director Robert Rodriguez. 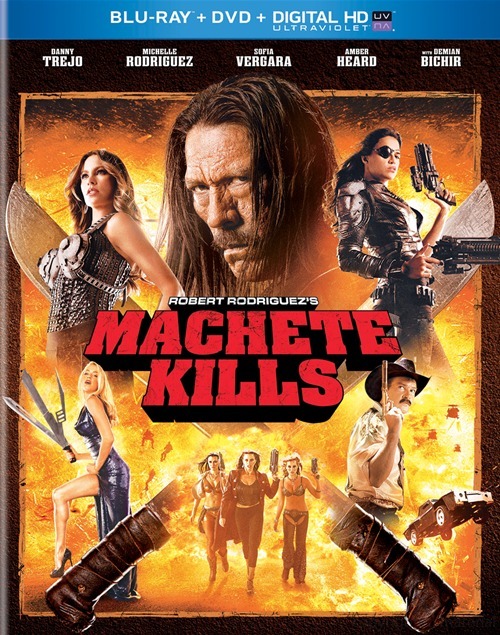 In his latest mission, Machete is recruited by the U.S. President (Carlos Estevez) to stop a crazed global terrorist (Mel Gibson) from starting a nuclear war. With a bounty on his head, Machete breaks all the rules as he faces death at every turn from a star-studded cast of deadly assassins. Featuring Michelle Rodriguez, Sofia Vergara, Amber Heard, Antonio Banderas, Cuba Gooding, Jr. and Demian Bichir, Machete Kills is""Absurdly entertaining. Defies expectations!" (Harry Knowles, Ain't It Cool News). It's one of the wildest save-the-world adventures ever captured on film!